01.09.2016. Old Trafford, Manchester, England. Specsavers County Championship. Lancashire versus Somerset. 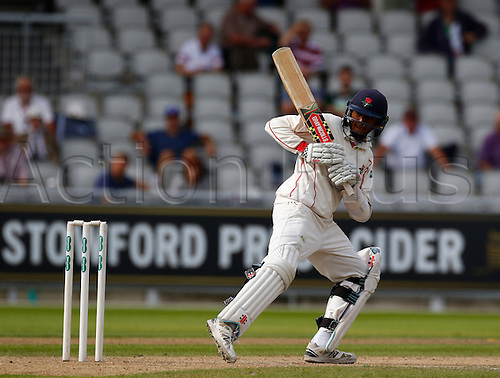 Lancashire batsman Haseeb Hamed plays a ball to the offside. At tea, Lancashire had reached 57-0 in response to Somerset's first innings score of 553-8.